I love beets. A lot. They’re fun to grow, delicious to eat, and they dye your fingers (and insides) red. Pretty much every week I buy a bunch of beets at the farmer’s market (our beet production isn’t quite up to snuff, but there are some in the ground now). Even though I keep telling myself I’ll do something new with that week’s bunch, I inevitably add them to one of my jars of pickled beets in the fridge. Carson and I eat them all the time and the brine stays good for months, so it’s an easy way to enjoy them. 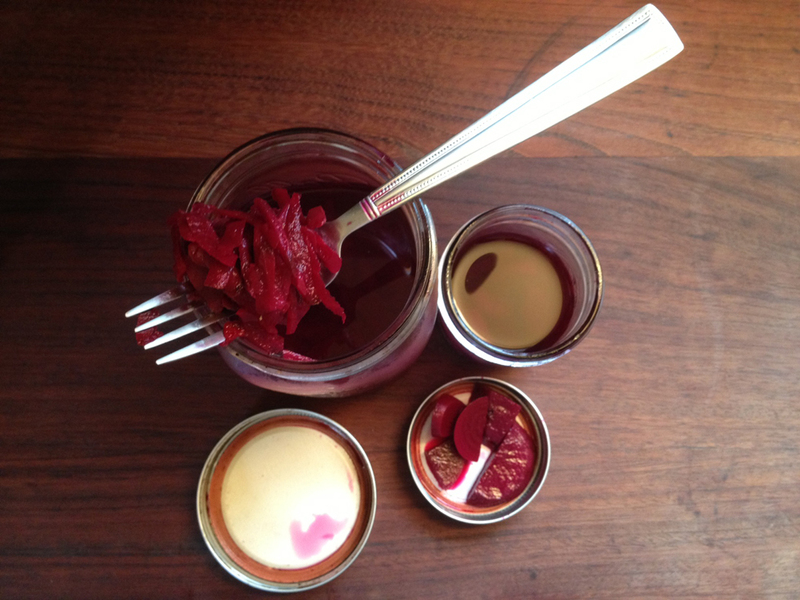 Here’s how to pickle your own beets. 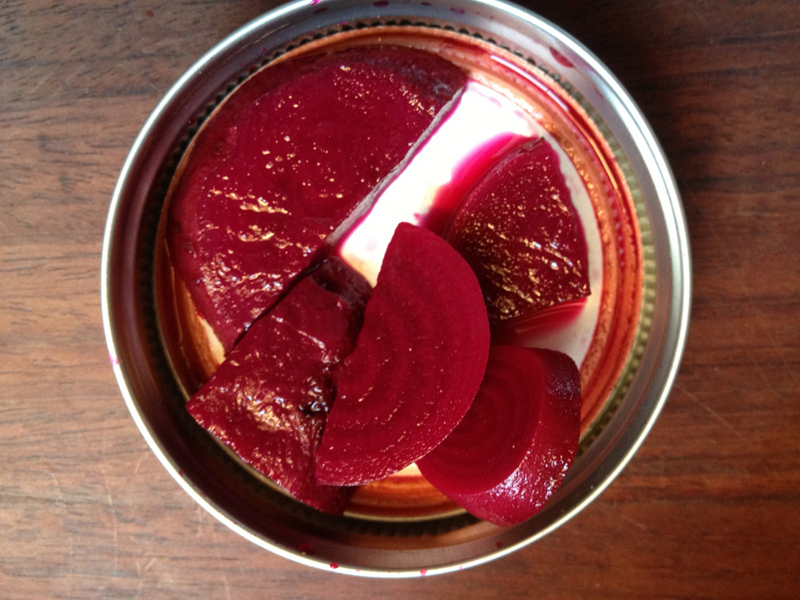 Peel if desired, and cut the beets to the size you want your pickles. Steam or boil the beets. After boiling for about 5 minutes, remove one with a fork and pop it in your mouth. Keep tasting them until you’ve reached the desired texture (I like mine a little crunchy, so I usually boil for 5-7 minutes). Drain and rinse with cold water. These are ready to eat in 24 hours. Since I keep adding new beets to the brine I have no idea how long they last, but I’d say they’re good for at least a month and probably longer. We mostly put these on salads with goat cheese and a vinaigrette or honey mustard dressing, but I often eat them by themselves. I currently have two jars in the fridge – shredded and sliced. If you run cold water over them after boiling or steaming, it helps keep their bright color. 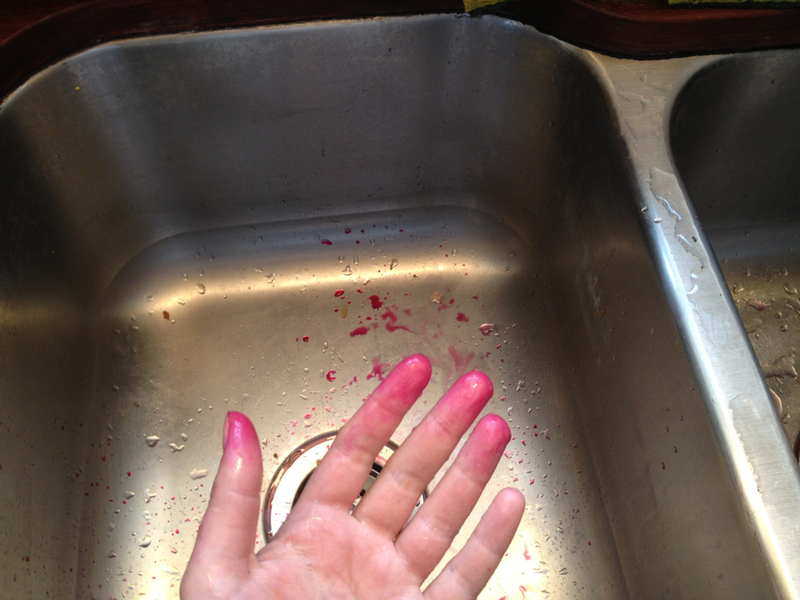 Crime scene or beet brine? You decide. Next time I’ll share what I finally did with the bunch of beets I managed to avoid pickling.